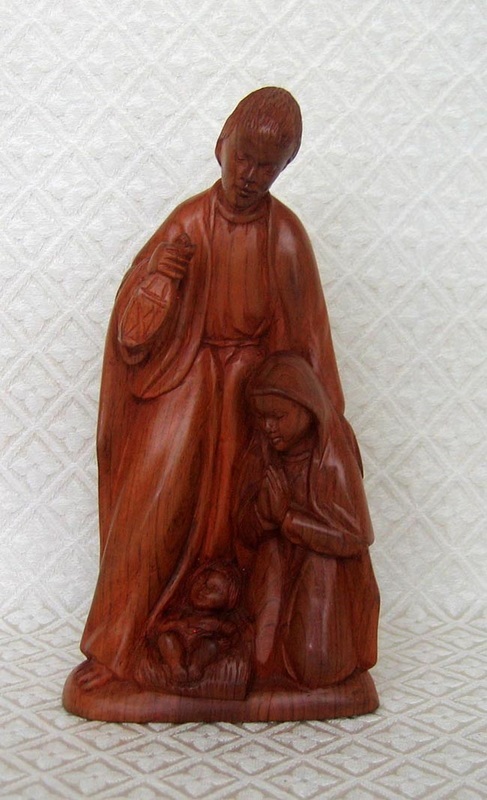 This Holy Family is from the island of Madagascar. Joseph holds a lantern as a symbol of his searching for a room during the night when the Holy Family first arrived in Bethlehem. The piece is carved from a block of palisander wood, which is from the rosewood family. Palisander is very hard and contains a natural oil as found in rosewood. The piece measures 8 inches high.